Nordic Knitting Symposium is organisied by www.gavstrik.dk with assistance from lokal arrangers each year. 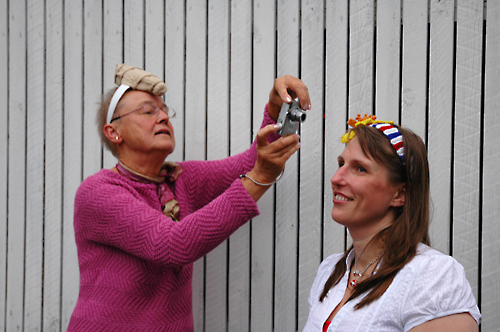 Here, the editor of the Journal Gavstik, Kirja Kongsbak is working with the documentation of the decorations at the farewll-party in Gjógv on the Faroe Islands. More about this later.